Lifetime will premiere a new reinvented wedding series, "My Great Big Live Wedding with David Tutera" on February 5th. The eight-episode series will feature inspirational couples sharing their remarkable stories. David Tutera is the go-to expert on weddings and celebrations and has hosted several hit TV series. "Every week, one new couple will share their emotional and heart-warming story LIVE from a different city across the country. All of America is invited to watch as these deserving couples work with world-renowned wedding and event planner David Tutera to create the weddings of their dreams. 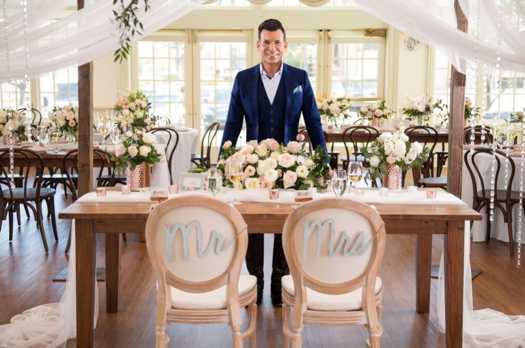 With surprises revealed along the way, each episode will culminate in the live broadcast of the wedding, brought to life by Tutera," according to Lifetime's press release. "My Great Big Live Wedding with David Tutera" joins Lifetime's Real Love Tuesdays premiering February 5th at 10pm ET.